Sevilla have completed the loan signing of Napoli midfielder Marko Rog until the end of this season. The 23-year-old midfielder joined Napoli for a reported fee of €13m in 2016 from Croatian side Dinamo Zagreb on a five-year deal and has since managed 67 appearances in all competitions. 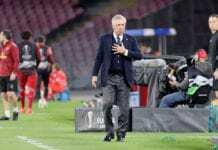 Under new coach Carlo Ancelotti, however, Rog has only started four of his 11 games this season at Napoli. This had prompted talk of a move to Spain with Sevilla, despite reported interest from German side Schalke 04. 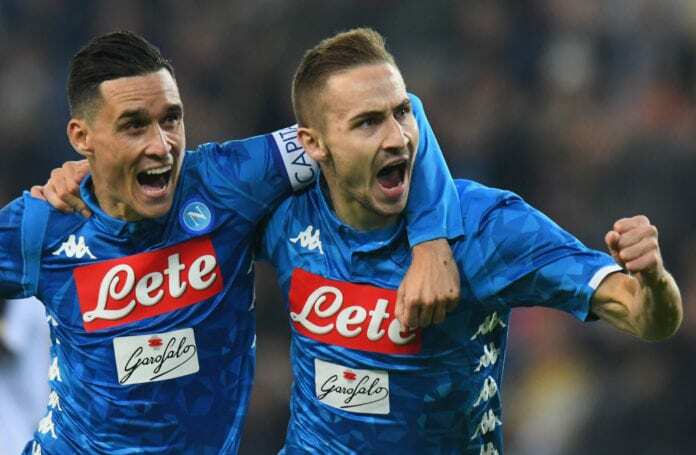 Speaking in a press conference last week, Ancelotti confirmed that Rog will likely leave Napoli in this month’s transfer window with Sevilla president Jose Castro announcing on Monday that a deal was close to being completed. “We’ve made two quality signings [in Munir El Haddadi and Max Wober] and there’s another [Rog] who has just landed in Seville. We hope to close a deal for him tomorrow,” Castro told Diario de Sevilla. Now Sevilla have confirmed the news of Rog’s arrival but made no mention of an option to buy him at the end of his five-month loan deal. “Sevilla FC and SSC Napoli have reached an agreement in principle for the loan of Marko Rog until the 30th of June 2019,” read a statement on the club website. The transfer brought up quite the little scandal in Spain after Napoli sporting director Cristiano Giuntoli vowed to take Spanish news outlets to court after being falsely quoted as saying that Rog will leave them for Sevilla earlier this month. However, the Croatian has now begun training at Sevilla and will be hoping to put his troubles from Italy behind him at Andalusia. It’s uncertain yet whether Sevilla manager Pablo Machin will select him in the squad that will face Barcelona in the second leg of their Copa del Rey quarter-final clash on Wednesday night. Los Rojiblancos hold a 2-0 aggregate lead over the cup holders and will need to avoid losing the return leg by more than two goals to progress to the semi-finals of the competition.